Arusha is the hub town for northern circuit safaris, so you might need a night or two here when arriving or departing. Arusha National Park is an attractive park nearby with the stunning backdrop of Mount Kilimanjaro. It’s great for a short day’s wildlife viewing if you have the time. Arusha town is a useful place to stay on arrival or departure. Arusha National Park is small and quiet, great for a day’s safari. 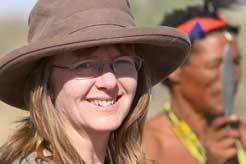 Arusha National Park is also a great birding spot. Gorgeous view, including of Mount Kilimanjaro, from the park. Mount Meru is within the park. See here for details about climbing it. 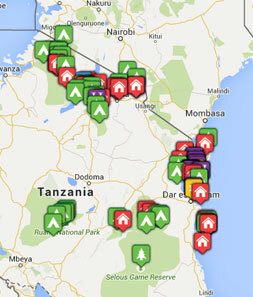 There is an airport in Arusha from where you can take domestic flights to most places within Tanzania. The closest international airport is just over an hour away at Kilimanjaro International Airport. A visit to the park is easy using Arusha town as your base. There is a decent choice of hotels and lodges of different standards in and near Arusha, and also between Arusha and Kilimanjaro Airport. Within town, a good, standard hotel to choose would be Arusha Hotel or perhaps a luxury guest house such as Onsea House. Near Arusha Airport, Arusha Coffee Lodge is good. 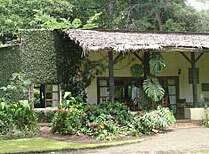 Arusha Coffee Lodge - beautifully-restored plantation houses are dotted around a still functioning coffee plantation. 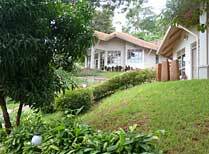 Arusha Safari Lodge is a lovely small lodge with pool and pampering facilities in lush gardens just outside Arusha town. 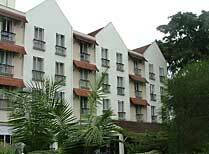 The Arusha Hotel is centrally placed in a lovely shady garden with a pool and comfortable rooms. 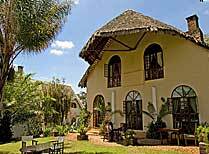 A luxury bed and breakfast with lovely views and gourmet food on a hill outside Arusha. 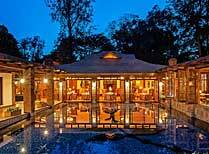 Rivertrees Country Inn is a small country estate accommodating up to 40 guests. 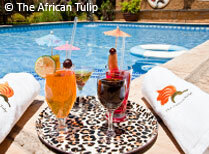 A well equipped hotel decorated and furnished on a safari theme, an ideal stopover before or after a wildlife holiday.